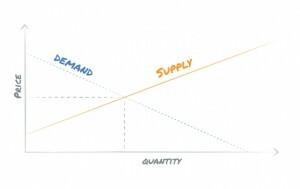 If you attend the first lecture on any micro economics course, you will be drawn a curve of supply and demand. It is one of the fundamental building blocks in a journey to understand how markets work. Not only is the concept brilliantly simple, the nuances of how these two equations work and interact can absorb a life time of study. Workforce planning is governed by the two same forces, but not in the way laid out in text books or lecture halls. They are not two curves that intersect to give a price and quantity for a given market, they are a temporal forecast or planned equation. The first aspect of workforce planning is the demand for resources. The demand is done at the position level. Each position has a title, set of reporting lines, a desired start and end date (exception: permanent positions will not have end dates) and approval status. The demand is, in effect, the workforce plan. It is what is required by the BU, location, and position types. What does a given scenario look like? How big would the change be? How does it compare to a different scenario or the current headcount? Plans are drawn up by business managers and once they have the right plan they will seek sign-off through the appropriate governance mechanisms. This is often called a budget. However, having a plan or budget signed-off does not necessarily mean it will always be perfectly executed. From small alterations in start dates to changes in business requirements to the budget being removed through hiring freezes…the only thing we know for certain is that actuals will vary from the plan. In most organisations, this can lead to significant management debate, and time taken to understand why the plan is altered. Who are the known leavers? When do contracts for temporary labour end? When are the new starters scheduled to join? How long does it take to hire each role? Is it better to recruit internally or externally? 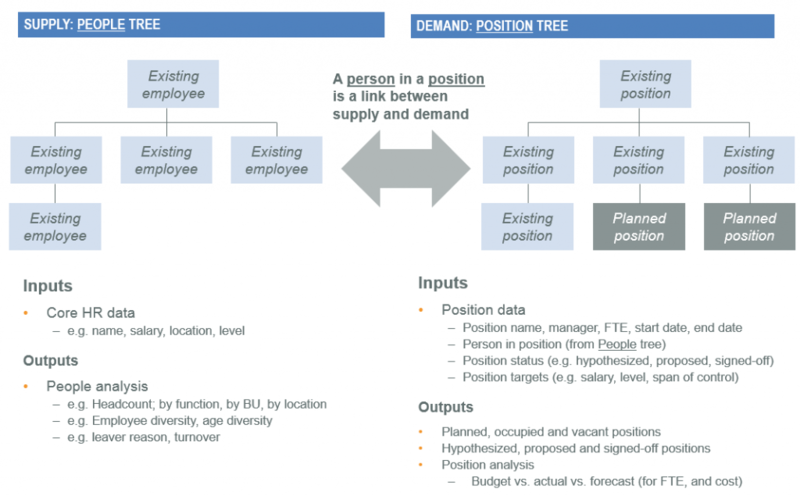 Once resource demand and supply are known, the business needs to understand gaps, for instance, where is there a need for a position which is not current filled? Where is there risk of redundancy? Where has resource been requested but not fulfilled? Where are opportunities to optimize resourcing? Alliteration is great. It makes stuff easy to remember and just rolls off the tongue so nicely. People and Position Planning cuts through to the core of what most people call ‘workforce planning’. It is more than planning though, it is the execution of the plan. It goes into the month-to-month management of an ever shifting workforce. To conduct workforce planning you need to link resource supply (current headcount in each position) with resource demand (demand for each position). 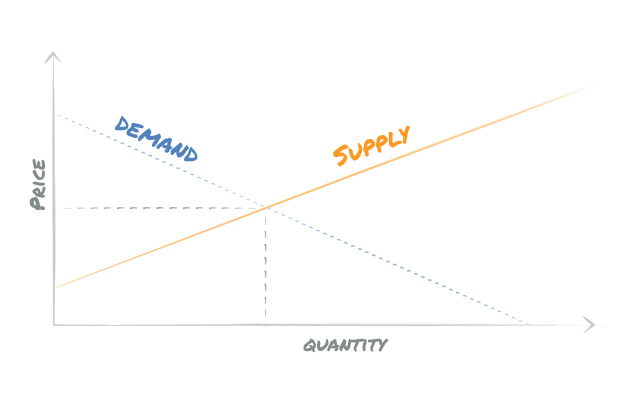 You can then model and plan resource demand, assess whether demand can be met with current resource supply (headcount), or else plan additional resource.